Without Grenadians having the knowledge of the content, and its related matters, of a Bill which has been introduced in parliament for debate and is ultimately to be assented to by the Governor-General for an Act to amend the Constitution of Grenada in order to enable accession to the Caribbean Court of Justice (CCJ) as the final Court of Appeal instead of the Privy Council, and to style the Supreme Court in Grenada “The Eastern Caribbean Supreme Court” instead of the “The Supreme Court of Grenada and the West Indies Associated States”, the powers-that-be are gauging to have the electorate to vote in a referendum on the Bill in November 2018. Although this referendum would be the second attempt in two years regarding the CCJ, the issue still remains controversial and complex and confusing. The previously internet-circulated article “Caricom CCJ Agreement and Grenada CCJ Bill” promotes the need for an appreciation of the related matters of sovereignty, trade, economics and the legal terms. Moreover; it appears that the powers-that-be have embarked on the theme “access to justice” to woo the people to vote for the CCJ, but without clearly pronouncing the philosophy and policy on the issue. This theme gives the idea that justice resides totally and exclusively, beginning and ending, with the CCJ; and contemptuously, it thereby denigrates and defies Grenada’s conventional and constitutional three-tier avenue (the High Court, the Court of Appeal and the Privy Council) for justice. Recall the previous internet article, “Is Grenada’s CCJ referendum really about access to justice? (Part One)”, which elucidates that the ‘first access point’ to justice within the legal system is virtually the High Court, which also has a critical responsibility in processing applications for judicial review by the Court of Appeal and then, as the case may be, furtherance of the gripe to the final Privy Council (or, the CCJ). 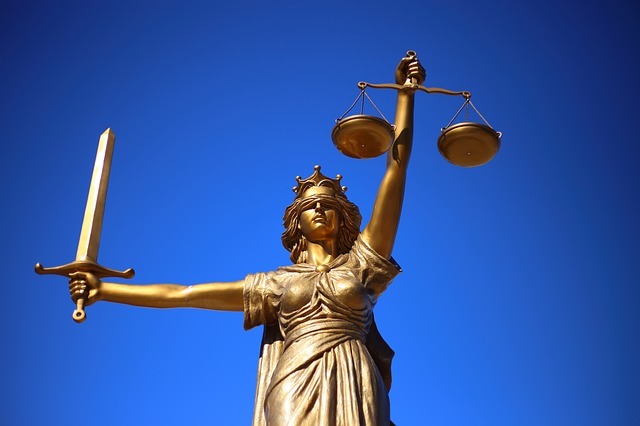 The concept of “access to justice” should also reflect the existence of a reliable and rewarding mechanism for justice; and in fact, any deficiency, divergence, and/or delay in the administration of justice would be a denial of justice. The efficiency and integrity of the first access point to justice affect the quality and delivery of justice, which can be with dire consequences; and thus, it is imperative that the institutions of the High Court be professionally independent, transparently accountable and sufficiently equipped. Unfortunately; for many years now, the local legal system of which the High Court is a part, has been of questionable reputation and under immense stress, with calls for drastic reforms. Having no meaningful response to the calls, justice continues to elude the average Grenadian. Particularly; the High Court system has been crippled, and it now appears to be at the point of virtual collapse. There is a shortage of judges and judicial clerks, and this has been resulting in a backlog of cases to be judged, as well as a backlog of judgements to be prepared. The democratic rights of the local people, in the pursuit of justice, are being challenged with the non-functioning of prominent courthouses and with the hampering of the Registry to file court-cases for commencement of the proceedings in matters before the High Court and the Court of Appeal. There should also be grave concerns on the capacity, or the freedom, of the people to access the Court of Appeal due to any default of the Government to the Eastern Caribbean Supreme Court for its sustainability and services. Moreover; it is a gross travesty of justice for the powers-that-be to assign priority to accession to the CCJ rather than to the troubling situation of the High Court system which is given much lip-service. The invaluable importance of the High Court system is reflected in the constitution. In accordance with section 16, the High Court has original (first access point) jurisdiction for the enforcement of the protective provisions of the fundamental rights and freedoms; and in accordance with section 101, the High Court also has original jurisdiction in constitutional questions (civil and criminal). Interestingly; subsection 16(5) speaks about the duty of parliament to empower the High Court to improve and to make more effective the performance of the justice system, and this should be the crux of the matter in genuinely seeking legal reforms and justice for all citizens despite their economic or educated status. Whilst showing slight acknowledgement of the sorry situation of the local justice system, the proponents of the CCJ are unpatriotically claiming that the situation should not be a factor in accepting or rejecting the CCJ as the region’s final court since the problems existed and persist with the Privy Council. They furthermore propagandise that voting for the CCJ would increase the chance of having the disarray in the High Court system addressed. It would be ridiculous though, that because of apparently having a vested interest in the prevailing state of affairs, the Grenada Bar Association has failed to present a position paper on the CCJ referendum, as well as on the deplorable state of the justice system; the Bar being a bastion of the justice system, within a professional code of ethics. Unless the local High Court system is properly functional, “access to justice” does not mean and cannot mean voting for the CCJ. And so, it would be very wise for the average Grenadian to grasp what is at stake and to demonstrate disgust and fuss regarding the issue, by VOTING NO at the CCJ referendum. Consider the above in preparations for the next frank discussions!! !